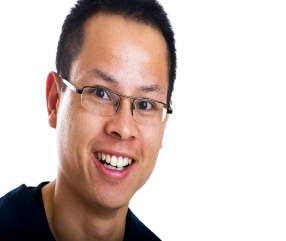 Dr Michael Leong is the owner and principle dentist at Just Dental Care. He is an accredited dentist with APHRA and the Australian Dental Association. He graduated with a Bachelor of Dental Surgery with Credit from Otago University, New Zealand in 2002. Michael has also graduated with a Diploma in Aesthetic Orthodontics in 2019. Michael has lived and worked in Australia for the last 8 years, and is dedicated to providing quality dental care. He loves to see people smile and is passionate about restorative and preventative dentistry. His ethos is “No Dodgy Dentistry”. As a father of one, Michael understands children and will always look to alleviate both child and parent’s concerns. Also being a father, he may also bring out the occasional dad joke in order to create a relaxed and fun atmosphere. However he does take his dentistry seriously!! Working with Dr Leong is Joyce, Elizabeth and Ladan. At Just Dental Care, we not only look after your dental needs, we also CARE about you. As a result you will find that our team will go the extra distance to make sure that you are well looked after and that you will have a dentist and dental practice to rave about. Furthermore Joyce is also a qualified and practicing Pharmacist, so we will always endevour to give you the best advise with regards to antibiotics, pain relief and possible drug interactions.